I love to pick up a new cookbook, especially if it is one with thick, glossy paper and vibrant, full-page photographs. But reading old cookbooks is just as delightful, in its own unique way. Vintage cookbooks offer a fascinating peek into the tastes and lifestyles of bygone eras. The odd terms of measurement and seeming vagueness of instruction make the recipes great curiosities for the modern cook, although presumably these old cookery books were not confusing to readers of the day. The requirements that were made of cooks in past times are quite staggering—“beat well together for half an hour” is a frequent instruction in cake recipes and apparently was nothing unusual. 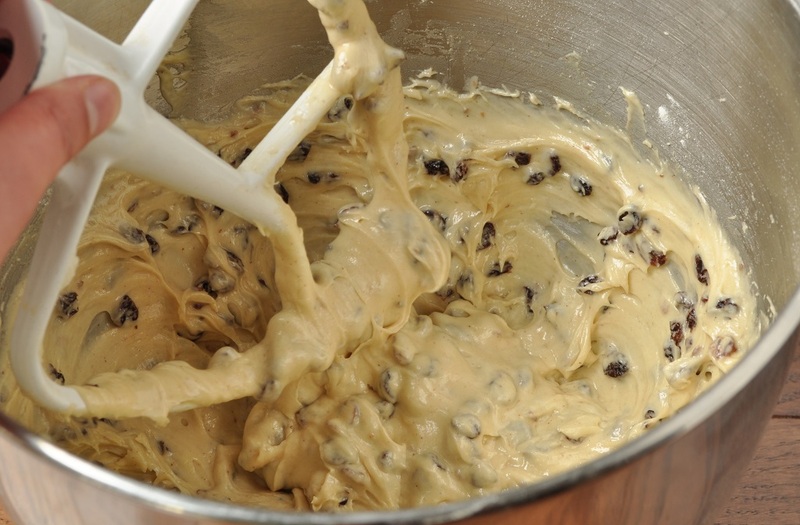 Can you imagine beating cake batter with a wooden spoon for half an hour? We can hardly be troubled to knead bread dough by hand for 10 minutes. And it usually wasn’t a small quantity of cake batter that was being mixed either. The amounts called for in these old recipes are every bit as astonishing as the mixing times. The pound seems to have been the most common measurement for sugar and flour, and anywhere from 10 to 15 eggs could be added to a cake. The recipes rarely mention yields, so one can only wonder how many people these cakes were expected to serve. Cooks must also have possessed an extraordinary degree of patience back then, for baking times could drag out to three hours! 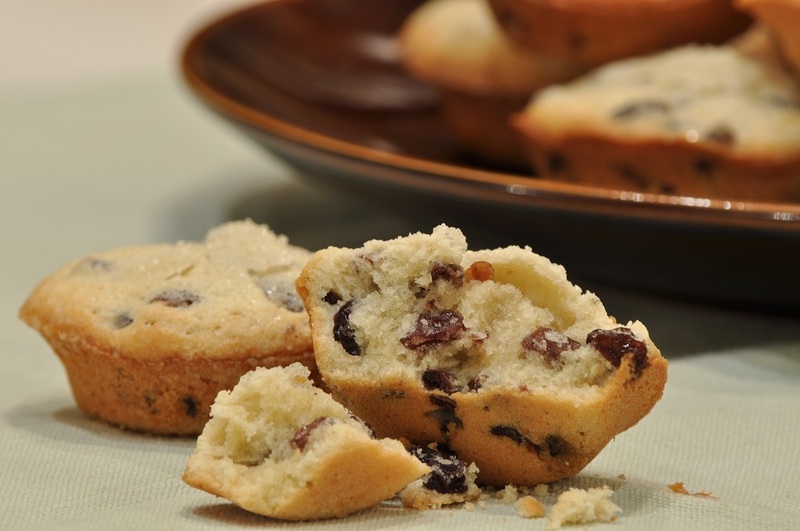 Most of the old cake recipes are liberally dosed with spices, candied citrus peels, and various dried fruits—since their frosting options were apparently limited to hard sugar icing, they had to add the flavour directly to the cake, without relying on the addition of fanciful frostings and fillings. Since this month’s Tea Time Treats theme, hosted by Lavender and Lovage, is dried fruit, I thought it would be a fun challenge to take a recipe from one of these old cookery books and try to adapt it to the modern kitchen for my contribution to the event. Tea Time Treats is celebrating its second birthday this month—congratulations to the founders, Karen of Lavender and Lovage and Kate of What Kate Baked. For my celebratory dessert, I eventually settled on the queen cake recipe from an 1840 recipe book, The Practice of Cookery by Mrs. Dalgairn. Since I wasn’t sure that my attempt to recreate a recipe that called for baking in a “pretty brisk oven” (what on earth does that mean?) would work out, I also planned another recipe as well, one involving dried blueberries, red wine, and oat streusel. I still intend to try it out and tell you about it, but since the ancient queen cake recipe did survive the transition to the modern kitchen, I can share it with you after all. My version of the recipe, of course, reads nothing like the original; however, most of the ingredients and processes have remained the same. Although we do get to beat the cake batter in a stand mixer for 10 minutes, instead of doing it by hand for half an hour. I also added in some rosewater, because most of the other currant cake recipes in the book called for it, and I like the taste. And with the addition of the rosewater, I felt justified in dropping the “few pounded bitter almonds,” the one ingredient that was beyond my deciphering capability. I wasn’t sure what a bitter almond was, let alone where to find them. So I gave them a miss. Other than that, the ingredients are the same. 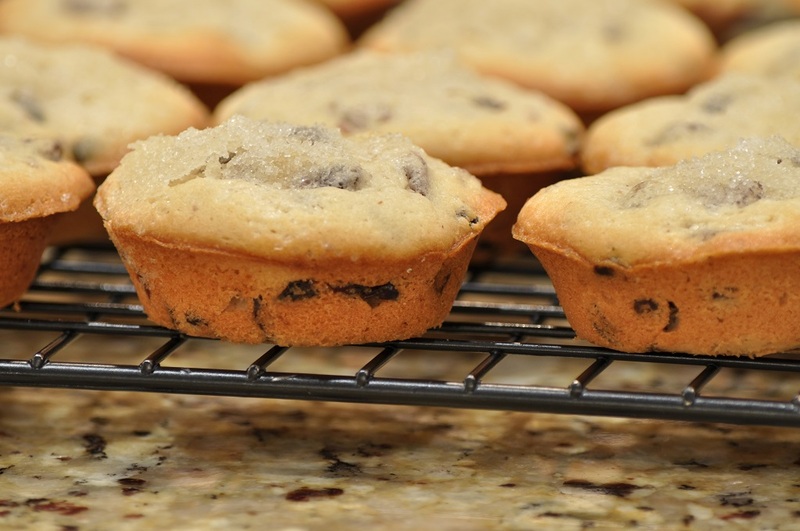 I cut the quantities in half, and baked the cakes in a greased mini-muffin pan, which seemed the closest approximation to “small buttered tins.” A brisk oven turned out to be 375°F, and the cakes baked in 10 minutes. I have to say, even with all the numerous complex and multi-step recipes I’ve made in my life, I don’t know when I’ve felt quite so pleased with myself over pulling off a recipe. I guess it’s the feeling of knowing my way around the kitchen just as well as those homemakers of old, who didn’t even have to be told what size pan to bake their cakes in, that makes me feel so proud. Or perhaps capable would be the better word. This recipe makes eighteen miniature cakes, pretty little bites of soft, crumbly cake, studded with currants and beautifully perfumed with rosewater. 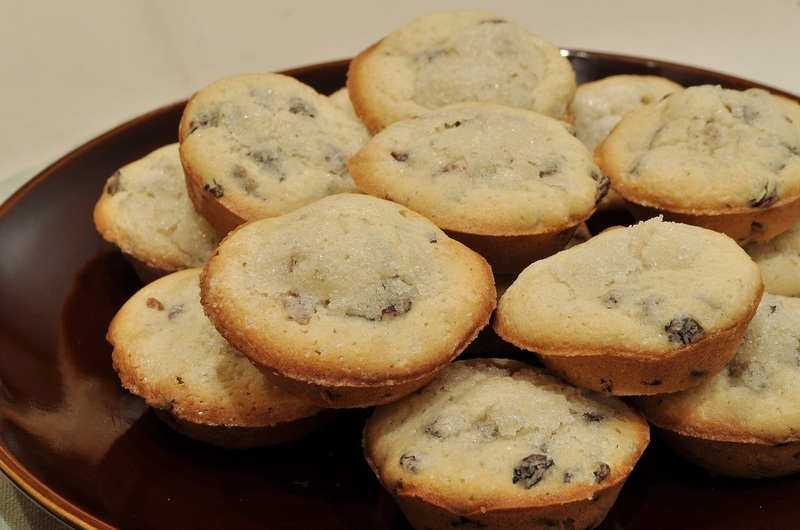 The sprinkle of granulated sugar on the top gives a nice bit of crunch. They are perfect for teatime, of course, but I also think that, during warmer months of the year, they would be a lovely treat at a picnic. Butter 18 cups of a mini-muffin tin. Preheat the oven to 375°F. Combine the flour and cinnamon in a small bowl, and pass a fresh nutmeg over a rasp grater (Microplane) a few times to add a little freshly ground nutmeg to the mixture. Set aside. 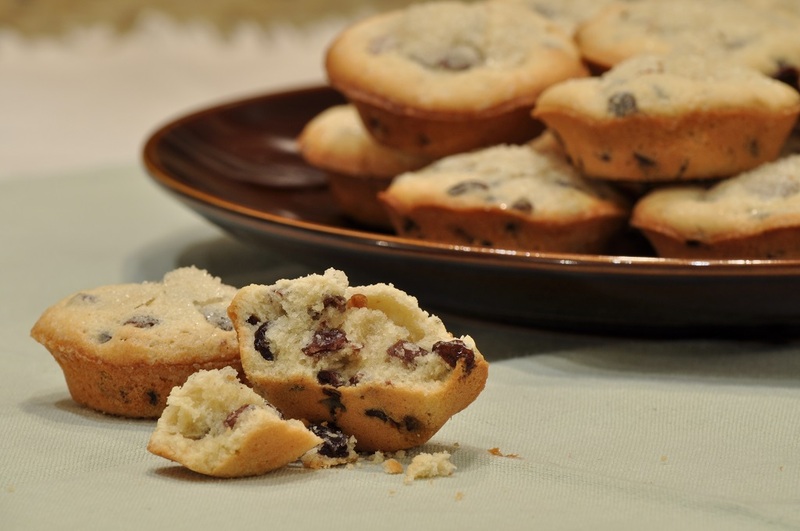 In a stand mixer fitted with the paddle attachment, cream the butter until smooth and light. With the mixer running on low speed, slowly mix in the beaten eggs, adding them a few spoonfuls at a time and letting each addition become fully absorbed before adding the next. Once all the egg is mixed in, add the rosewater. The mixture will be very light and pale yellow. 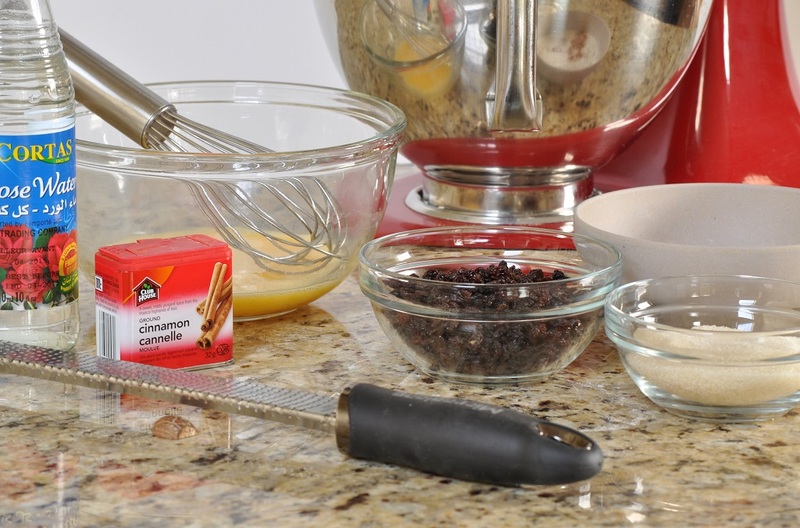 Toss the currants with the dry ingredients, and add the mixture to the beaten butter and eggs. Once the dry ingredients have been incorporated, increase the mixer’s speed to medium and beat for 10 minutes, pausing the machine occasionally to scrape down the sides of the bowl. The finished batter should be thick, smooth, and quite light. 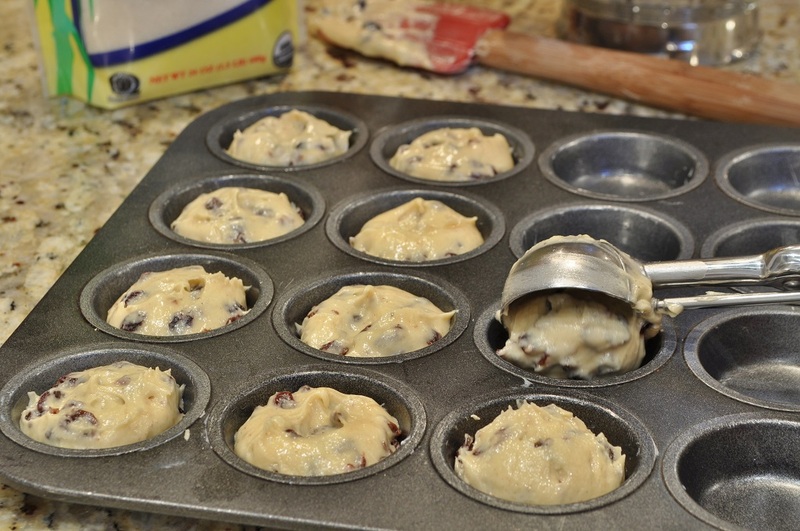 Fill each greased muffin cup with 2 tablespoons of the batter. 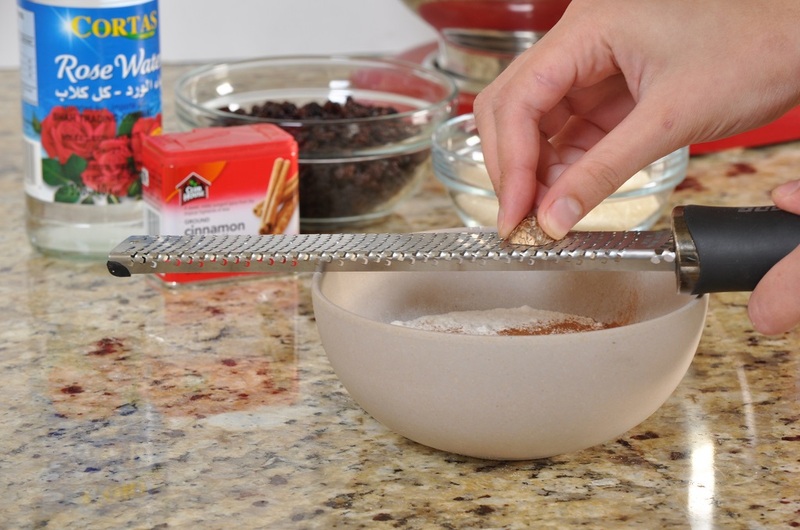 Sprinkle the top of each cake with a little granulated sugar. Bake for 10 minutes, or until the cakes are risen and lightly browned around the edges. Let cool in the pan for two minutes, then remove to a wire rack. Thank you, Karen. 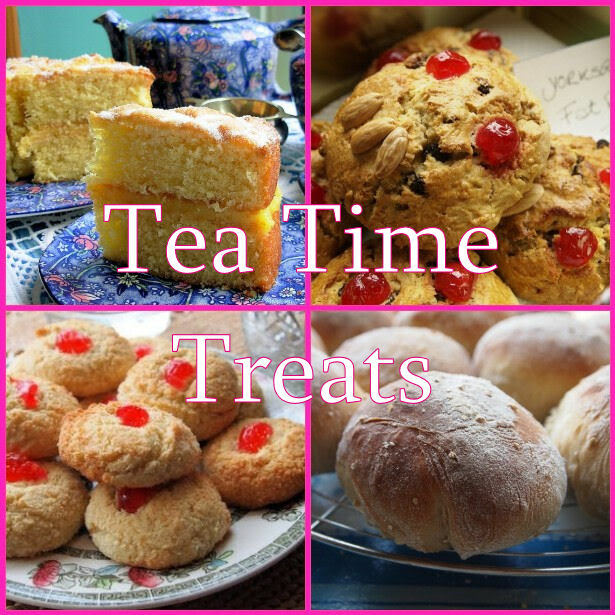 They were just begging to be featured on Tea Time Treats–after all, that’s when they would have been served originally! 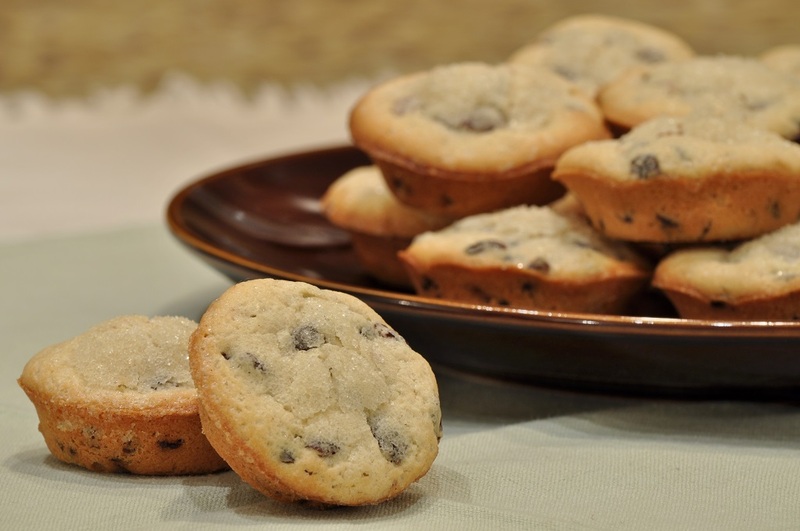 These look wonderful and perhaps the perfect size for a holiday party or even a small get-together. I like the use of currants because you don’t see that very often. It’s nice to have a recipe for something a little outside of the typical box. And, as always, your pictures make me hungry, too! Thanks for sharing another story and recipe. I’m wondering how fresh currants might do as an alternative? I didn’t think of that, Beverly–these would be perfect for a holiday party. Just the right size to balance on the side of a saucer with a nice cup of eggnog or mulled wine. I should think that fresh currants would work just as well, when they’re in season. Lovely looking cakes and great to see an old recipe book getting some use. It inspires me to dust off a few of my older books! Not sure I could manage the half hour of stirring either. Thank goodness for technology. Thank you, Antonia. I love reading antique cookbooks. You can find really exceptional recipes, if you’re able to look past the obscure instruction methods!